8.2" x 9.8" stitched on 14 count. 6.4" x 7.6" stitched on 18 count. 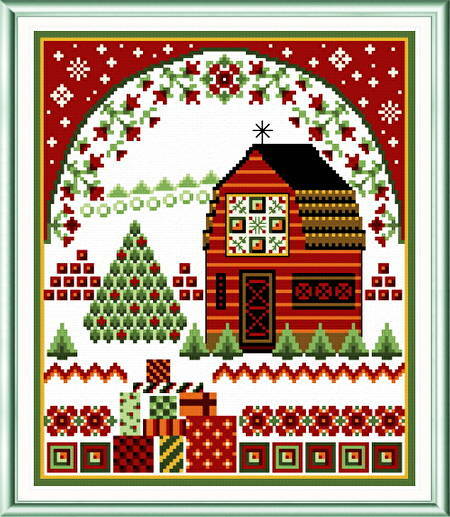 Holiday Barn with Quilts cross stitch pattern... Colorful and whimsical Christmas barn scene with a quilt theme.